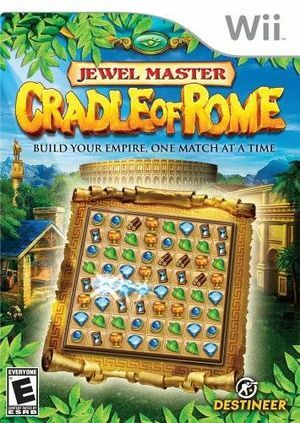 In Jewel Master: Cradle of Rome step into the world of ancient Rome and craft a civilization with addictive puzzle gameplay. Swap icons to create matches of three and collect resources to build an empire. Jewel Master: Cradle of Rome takes “match three” gameplay to the next level! Match gems to gain resources and build Rome into the greatest civilization the world has ever seen. The graph below charts the compatibility with Jewel Master: Cradle of Rome since Dolphin's 2.0 release, listing revisions only where a compatibility change occurred. This page was last edited on 14 January 2018, at 11:40.